"Speak Up has achieved wide recognition… improving the ethical culture of each agency and the sector." Educating employees about workplace behaviour isn’t always an easy task, especially with a diverse workforce, stretching across multiple agencies around the state. The communication needed to attract attention and engage employees, while maintaining a strong sense of integrity that serves to convey the importance of the message. This was a challenge faced recently by the Integrity Commission, an agency charged with improving the standard of conduct and ethics in Tasmania’s public authorities. The Commission works across state and local government, as well as quasi-government bodies, and strives to achieve its aims through providing education and support. Futago has been working with the Commission since its inception in 2010. Initially tasked with designing the visual identity and stationery, we’ve also delivered website design, office signage, reports and an image library. 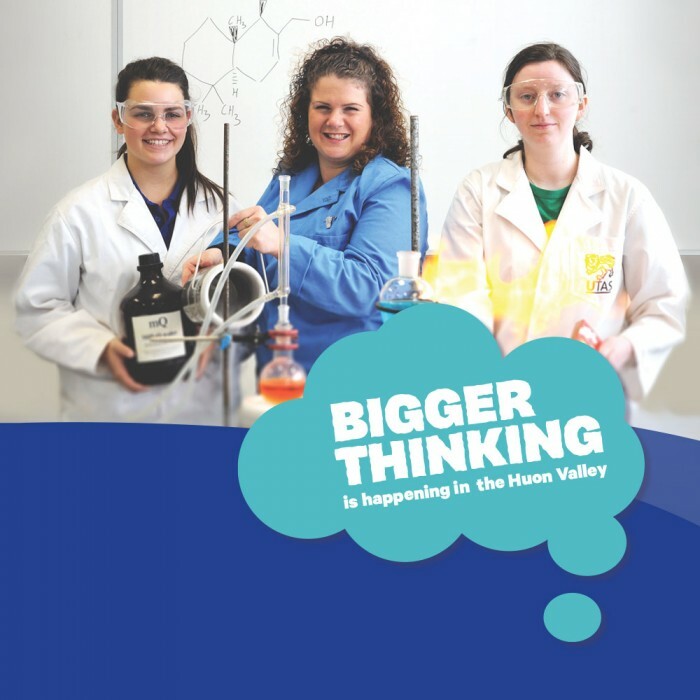 In 2014, the Integrity Commission approached us to work with them on developing a long-term education campaign that would target all government agencies in Tasmania. The campaign would have a life-span of a number of years, so it was crucial that we develop a flexible and sustainable brand that would continue to attract attention over time, as the Commission introduced new considerations and messages. It was also important that everyone understood that the Commission was there to provide independent support, with the power and ability to take action that would deliver better workplaces for employees and their customers. 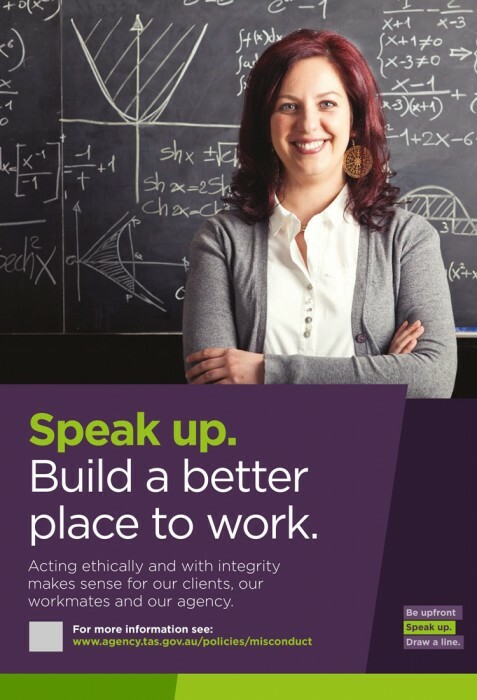 The focus for Stage one of the campaign was to encourage employees to act ethically in their workplace, and empower them to ‘speak up’ if they became aware of inappropriate behaviour or misuse of resources. Longer term, the messaging would evolve as the target audience gained a greater awareness of the presence, and role, of the Commission. Working with the Commission’s Education Unit, we developed the strategy, messaging and design for the campaign – ‘Be upfront. Speak up. Draw a line.’ ‘Speak up’ was to form stage one of the campaign, providing a clear call-to-action for employees. Understanding the target audience was critical. 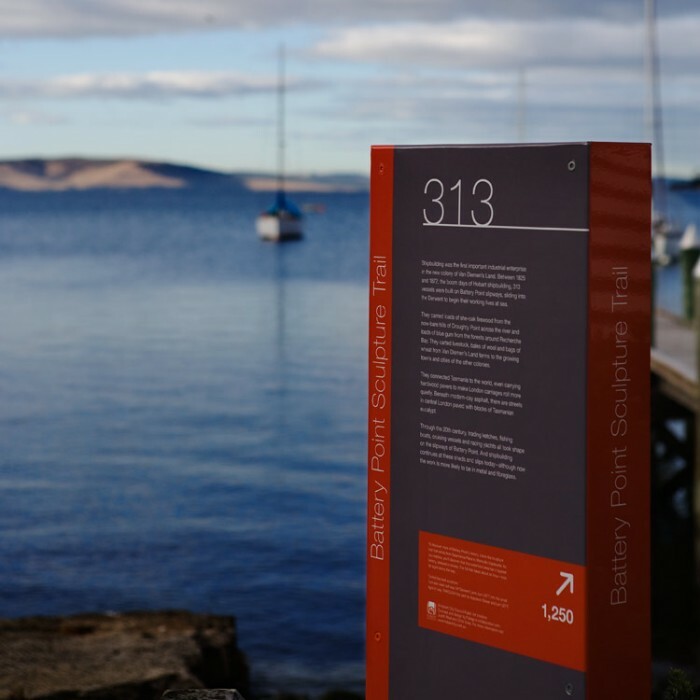 The campaign needed to appeal to a broad cross section of Tasmania’s population employed right across the public sector. And we needed these employees to feel a sense of trust in the Commission, and recognise their independence from Government. Our approach involved a design that very deliberately avoided the look of other official government communication. The images we chose showed a cross section of employees on the job, and the message was clear – Speak up and build a better workplace. This was a campaign that people from all professions, backgrounds and locations would identify with. Initially, the ‘Speak up’ campaign used posters, eNewsletters, videos and website banners as the main channels of communication. Within three months of launching ‘Speak up’, a total of 19 state and local government agencies and business enterprises had adopted and embraced the campaign. Since then, the Integrity Commission has continued to promote ‘Speak up’, encouraging more agencies and organisations around the state to join the campaign to educate and empower their staff. New initiatives are evolving as momentum continues to grow, including the introduction of a staff intranet page and the delivery of a professional learning session. Drop us a line to talk about your project!